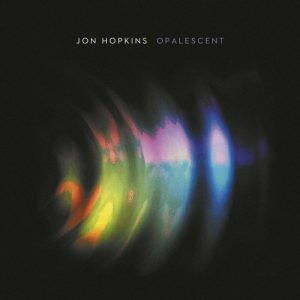 Jon Hopkins – Opalescent (2016 reissue) – Album Review | The Ark of Music – The best music in the world…you never knew existed. Fifteen years ago the London based electro-artist, Jon Hopkins, released his original issue of Opalescent…at the tender age of 20. The electronic community fell in love with it, and him, and rightfully so. Fast forward one-and-a-half decades, and the genre (as well as its fan-base) has grown to become a legitimate contender in the art form, owing arguably a great amount of that success to Hopkins. Between then and now Hopkins’ projects have been many, and it seems somehow fitting that he has returned to his roots by releasing a 2016 reissue of the album that started it all. The dreamy, synth-laden collection opens with Elegiac. In doing so, the album, with efficient subtlety, bares itself completely and immediately to listeners. Through the track’s ambient layers of guitar and synth, Hopkins uses sound to not only ask, “Where?”, but also to find his direction. Moving into Private Universe followed by Halcyon, the voyage quickly becomes purposeful with rhythm and chord structures that offer color and focused intent. Halcyon melts slowly into Opalescent, the album’s self-titled track. Here, the first epiphany occurs. Hopkins found something special in his process, and—using sound—took just over two minutes to stop, breathe, and look around. Focus returns with the rhythm and keys of Lost In Thought, though they grow and fade amidst a sea of fluid synth. This rise and fall of structure continues beautifully into Fading Glow, as listeners are treated to the addition of gently plucked acoustic strings. Inner Peace is perhaps the album’s strongest track. Sometimes a cigar is just a cigar, and, as the song’s name might imply, this track is just plain good for you. The album concludes with Afterlife, a piece that showcases the strongest elements of every preceding number. Subtle dynamics, ambient tones, and dreamy textures. The track made me immediately tap “repeat album” and take the journey again. We’re confident that it is as clear now as it must have been in 2001 that Opalescent is not about relaxation, but exploration. It’s not about meditation, but patience. It’s not about method, but freedom. Ultimately, one creative talent sat down with a plan that had no specific destination, only the courage and desire to see his creation through to the end. And, considering that one of the true tests of any art-form is its ability to remain relevant over the course of time, we, without hesitation, label Opalescent as timeless. This wonderful album is 15 years old. He’s an innovator…others try to sound like him. That said, if trip-hoppers Morcheeba teamed up with composer Clint Mansell…you get the picture. 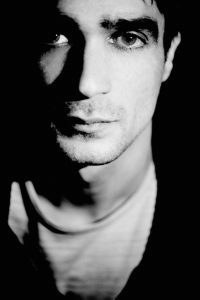 Below, you can listen to music from Jon Hopkins’ Opalescent (as well as some of his other work), connect with his website and social media platforms, watch his music video, check out his live show/tour schedule, and find his booking & contact information. Please support Jon Hopkins by visiting him online, and playing, downloading, and/or purchasing his music. And, as always, thank you for supporting real music!